Bottle Protector Sleeves, Set of 100. 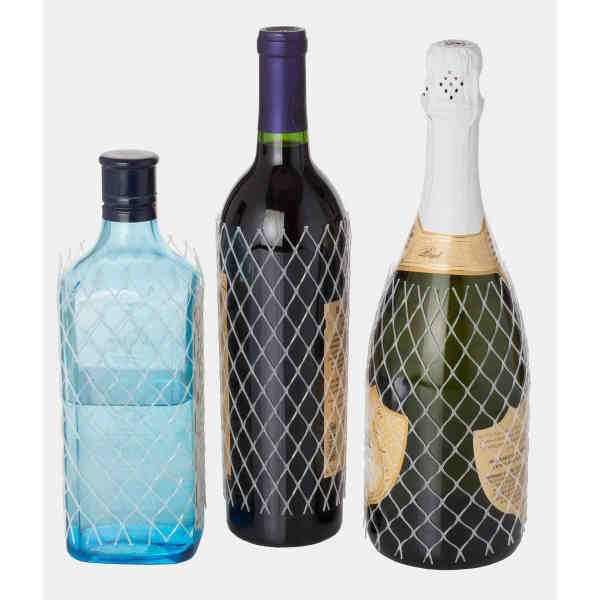 These flexible mesh, all-natural color sleeves can slip over any wine or liqour bottle, regardless of shape, including magnums. They protect glass from hitting glass which can cause bottle breakage. Biodegradable, recyclable PE plastic. Each protector is 7" long. Ship Weight:Freight and handling charges will be added to invoice unless otherwise determined.